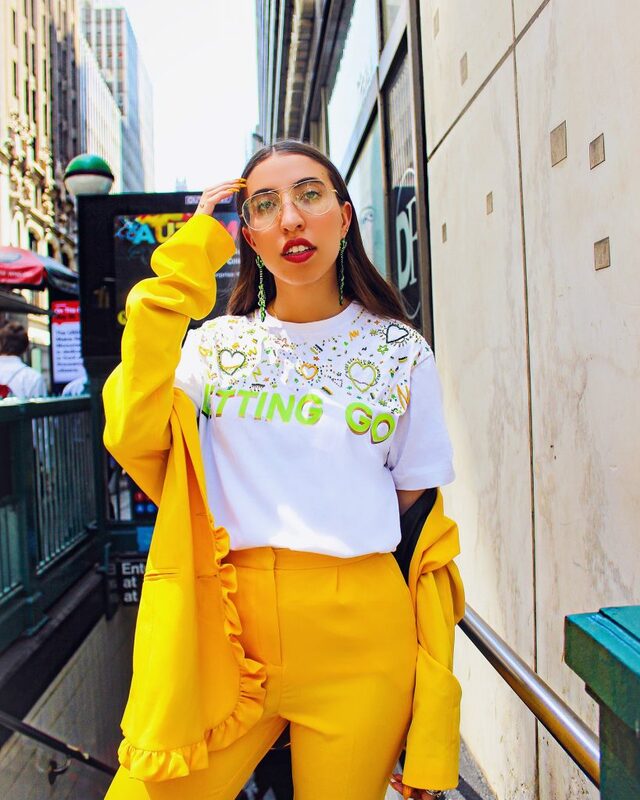 Caroline Vazzana is a fashion editor, stylist, author and Founder of Making it in Manhattan; an editorial site for millennials and gen-z hoping to make it in the fashion industry. Caroline left a promising editorial career after working for Teen Vogue, InStyle and Marie Claire on the print and digital teams, curating photo shoots and interviewing designers like Betsey Johnson, Diane Von Furstenberg, and Manolo Blahnik for feature articles – nbd – to start her own company, all before turning 25. 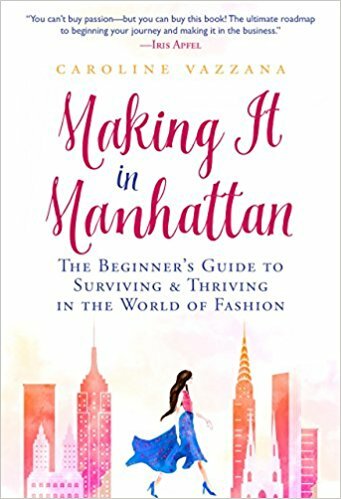 She recently announced the impending August launch of her book: Making it in Manhattan: Beginners Guide to Surviving and Thriving in the World of Fashion, (available for pre-order now), in support of her mission to provide career advice to young women. Caroline has graciously signed on to be one of our PRISM Live 2018 mentors, and we couldn’t help ourselves in wanting to know more about how she has managed to to amass such a strong foothold in the industry, so early on in her career! Want to chat directly with Caroline? Join PRISM to gain access through our Personal Branding Mentor mastery Call. Just one of the amazing benefits of being a part of our signature course + community this summer! Click to Sign up for PRISM! Q: You had already secured multiple "dream jobs" before the age of 25 - how did you break into the fashion industry? My first big break into the industry was when I was 19 and I interned at Anna Sui in the garment center. I didn’t know anyone in the industry so I just applied online to a ton of internships and Anna Sui was the first one I heard back from! Q: Take us behind the scenes of Teen Vogue, Marie Claire etc - what is it *really like*? I absolutely loved working at Teen Vogue & Marie Claire. It’s a very high pressure, fast paced environment- as you could probably guess. But it’s also super creative and you learn a lot. Q: What made you want to go out and do your own thing and how specifically did you make the transition? I always loved the idea of becoming my own boss one day. I started saving money and building my personal brand, my book, website and Instagram, while I was still full time and eventually I just got to a point where I thought, “it’s now or never” and I took the leap! Q: How did the book come about (and how did you land all those big name endorsements!)? I started writing the book just as a way to remember all of the incredible lessons I’d learned and experiences I’d been through. Eventually I realized I wanted to get it published so I did some research and found a literary agent who then found me a publisher who signed my book. I loved the writing process because I was able to relive these fun experiences all over again. I’m very thankful that through my work now I get to meet and work with so many incredible people so when the time came to get endorsements, I turned to these people and they were so happy to support the project. I see my book becoming a huge part of the brand- hopefully there will be more books down the road! Q: What is your best advice for building connections and getting noticed/hired in the fashion industry? What do young women often get wrong? Be kind and persistent! The industry is so small right now, so it’s really important to be kind to everyone. Also being persistent and not taking no for an answer is huge to being successful! One more thing, dressing professionally but still staying true to your personal sense of style can be tough, but I think it’s a huge part of helping you land the job. Q: Is it necessary to be in Manhattan to "Make it?" What advice do you have for those who are unable to move to NYC? Great question! I actually address not being in Manhattan in my book, but I think if in the beginning you can’t be in NYC, try to get involved in the local fashion community wherever you live to gain as much experience as possible. I started saving money and building my personal brand, my book, website and Instagram, while I was still full time and eventually I just got to a point where I thought, “it’s now or never” and I took the leap! Q: Building your own business can be stressful and full of second guessing yourself - how do you navigate decision making and "scary situations?" Self care is a huge thing for me. Since I’m always on the go and always out and about I find it really important to take time to relax and do things that make me happy. Otherwise it’s easy to get burned out! Q: What's your favorite phone app right now? I wouldn’t be able to survive without my calendar app on my iPhone because that’s how I schedule out my days! I love using Snapseed to edit pics! Q: What products are you currently obsessed with? I love all of the beauty products from Sunday Riley, they have been a game changer for my skin! Q: Favorite place to grab coffee/cocktail in NYC? I don’t drink coffee so I’d say grabbing an iced coconut matcha latte at Cha Cha Matcha is my go to!